Cooler Master is a very well known brand across the world in terms of PSU’s, casings and cooling solutions; hence the name. 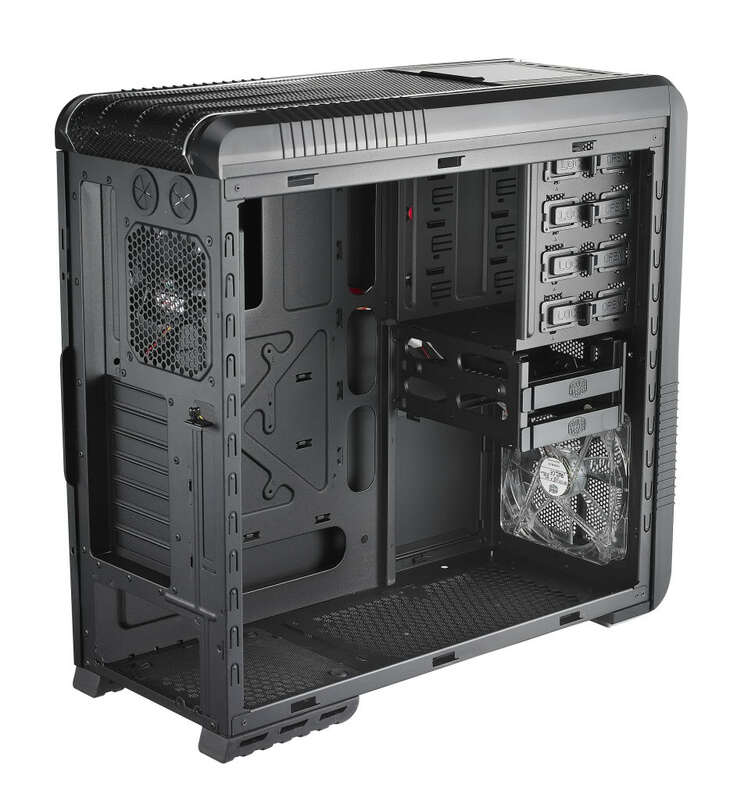 Cooler Master caters to almost all market segments with its computer enclosures (cases or chassis –take your pick). From the budget 3XX Elite series, to the ubiquitous and extremely customizable HAF X, the company has never failed to leave a mark in terms of quality and performance. I at WCCF Tech, today would be looking at the 690 II Advanced PC Case and see how it fares among the million and one gaming computer cases vying for your attention and money to find out whether is it all the bling or is it really what you paid for. Cooler Master had released this refined and further upgraded version of their ever popular 690 series cases, the 690 II Advanced. With more cable management options, a HAF like HDD bay, an SSD mount tray, tool-less 5.25 inch bay locking mechanisms, more I/O panels on the top along with a hot swap SSD bay (works with HDD’s too with standard SATA power and connector layout) and last but not least, an overall design refinement over the case, this sure looks one amazing thing at a glance. The 690 II Advanced case gives one a meaner look of what it’s housing inside. The raised cuts in the mesh grill at the bottom sure look impressive along with the symbolic silver colored plastic strips of the 690 series that go from the bottom to the top and back of the case. The 690 II and the Advanced have, however, changed the placement of the Power and Reset buttons to the front top, just ahead of the front top I/O panel along with the power and status LED indicators. The front shows four 5.25 inch expansion bays that are visible due to their front mesh covers having curves on their top and bottom edges. However, the case comes fitted with 3 Cooler Master 120MM fans out of which, one blue LED fan is in the front while the other are two stock opaque fans placed at the back and top of the case. The top exposes us to 2 USB 2.0 ports, 2 status lights (HDD and Power), the usual Reset and Power buttons, an E-SATA port and a headphone and microphone 3.5mm jack. Both these jacks work on the AC97 audio and HD audio codec. The front fascia can be simply pulled off with a little bit of force applied and exposes the 5.25” inch bays, as well as the mounting place for a single 120mm fan. This is a downside for me as I had been expecting two 120mm fan mountings as one fan wouldn’t seem sufficient in case all 6 HDD bays are in use and could lead to some plausible heat up issues. The top of the case exposes two fan mountings through its mesh grill cover, followed by an acrylic cover that houses the SSD/HDD SATA interface hot swap bay. The rest are the I/O panels and the power/reset switches that have been discussed earlier. On closer inspection of the SSD/HDD bay, it shows the standard configuration for the SATA power and connector socket. Any non standard SATA interface would not be able to use this. The back of the case features the usual cut for a bottom mounted power supply and motherboard back plate. One thing to be noted here is that there are holes given for installing pipes for a water cooling setup in the chassis. The radiators; hence would be mounted at the top of the case. One thing to be noted here is that on the side of the expansion slots, there is one vertical slot that can be used to install an extra side fan for GPU cooling as well as mounting the GPU retainer bracket that comes along with the case. The side panel is neatly cut holes given on the bottom left side for installing another 120mm fan. Besides that, the case overall supports 10 fans for optimum cooling. Whereas on the other side of the case, there is cut given in the case just behind the CPU socket for cooling off the backend of the CPU socket area of the motherboard, when another additional fan is installed. The front of the case has a plastic base while the back has dedicated rubber feet for each corner, additionally helping overall to reduce vibration in the case. The interior is all matte black which makes for a great show from the side panel window. The interior can be divided into two distinct zones –the motherboard tray area and the drive mount area. The interior is 214.5mm deep and will take even the largest of air coolers fit easily inside it. I myself personally tested by installing a Cooler Master V8, and a Noctua NH-C14 CPU cooler and they had both installed in the case with ease, while leaving ample space for airflow. The tray has the usual mounts for the motherboard and supports up to Full-ATX boards. A cutout has been given for the cpu socket for easy installation of different high end CPU cooling solutions as well that doesn’t require the user to take out the motherboard. On the other hand, 4 HDD trays can be removed for the installation of a bottom mounted water cooling kit installation. The power supply is installed at the bottom with a cut given at the base for airflow to reach the PSU’s fan. 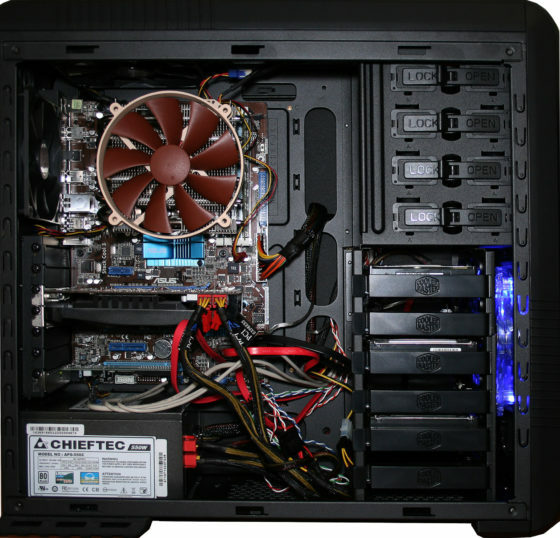 On the other hand, this case supports up to 1 foot or 12 1/2” inch long graphic cards (i.e. AMD’s 6990) without any hassle. The unit has 4 forward facing drive bays. I like the fact that they have given sideways facing hard drive installation for the six 3.5” inch hard drives. The top most 3.5” bay includes a 2.5” inch SSD tray. A feature that is most welcomed in this addition. All the drive bays are of a tool-less design. The CM 690 II’s black finish with the interior does stand out a lot and with the overall features list, makes it look one hell ova complex and high end case! The Cooler Master 690 II Advanced is no stranger when it comes to cooling. The case, as mentioned earlier, comes with 3 fans originally with and overall support of 10 fans combined. To check the cooling capability of the case, we ran wPrime95 and Furmark to check it’s idle and load temps respectively at an ambient controlled room temperature of 21C. 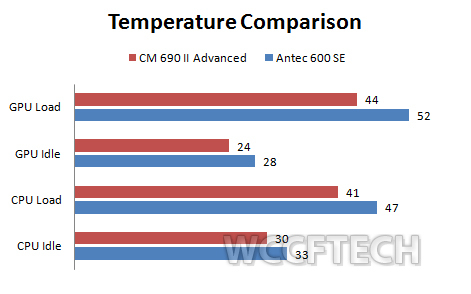 The temperatures have been compared to an Antec 600 SE case we had once reviewed earlier. The added grills and airflow dynamics seem to have a positive impact on the case and is quite impressive, keeping in mind we’re only using 3 fans with the case while the 600 SE used a total of 4 fans that included 1 200mm top fan besides 3 120mm fans. The Cooler Master 690 II Advanced is possibly one of the best mid tower cases out there yet on the market. Compared to Xigmatek, Antec, and SilverStone, this is the best case I have ever reviewed so far. The price may be a little high for a mid tower, but you’re getting quality and all the features you’d ever need in return. Price wise, the case is a bit expensive and is priced near the mid tower HAF series (except the Full tower HAF-X) that are further upper class versions of the mid tower segment. Honestly speaking, in my own opinion, if I had to choose between the HAF 922 and the 690 II Advanced, I would choose the 690 because of it’s looks and overall amazing build. Why not the HAF if you’d say? Well that’s for one thing more expensive, and just has the added feature of a top and side 200 mm fan option but both these cases don’t have handles for easy transport to LAN parties or tournaments. One thing I really wanted to see in this case were dedicated fan controllers as there aren’t any at all bundled at all with the case. 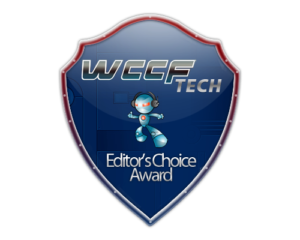 Besides that one downside, I would like to reward this case our WCCF Tech’s Editor’s Choice Award for its overall package, design, features, and best bang for the buck!